Thanks to my friend Emma at Mrs Hollingsworth’s for the inspiration for these yummy brownies. These may become a staple when needing to bake something that’s quick and easy with very few ingredients. They’re actually great for baby led weaning as all natural ingredients and a wonderful (albeit messy!) texture that babies will love. I’d advise leaving out the walnuts if making these for babies. They’re gluten free, dairy free, refined sugar free and vegan. Oh and they’re shamazing! What’s not to love?? Preheat the oven to 150 degrees. This temperature really is key with brownies, any hotter and they won’t be gooey. Now put all the ingredients except the walnuts into a food processor and blend until a smooth and sticky batter forms. If it’s too sticky (i.e. it forms a big ball), just add in a little more water a tablespoon at a time until you get the desired consistency. Crumble the walnuts into the bowl and stir in, then spoon the batter into a lined baking tin or mould and press down with a spoon to make sure it’s all nice and even. Bake for 25 minutes, then leave for another half an hour to cool (as the brownies will continue to cook after they are taken out the oven). Once cool, cut into squares and devour! 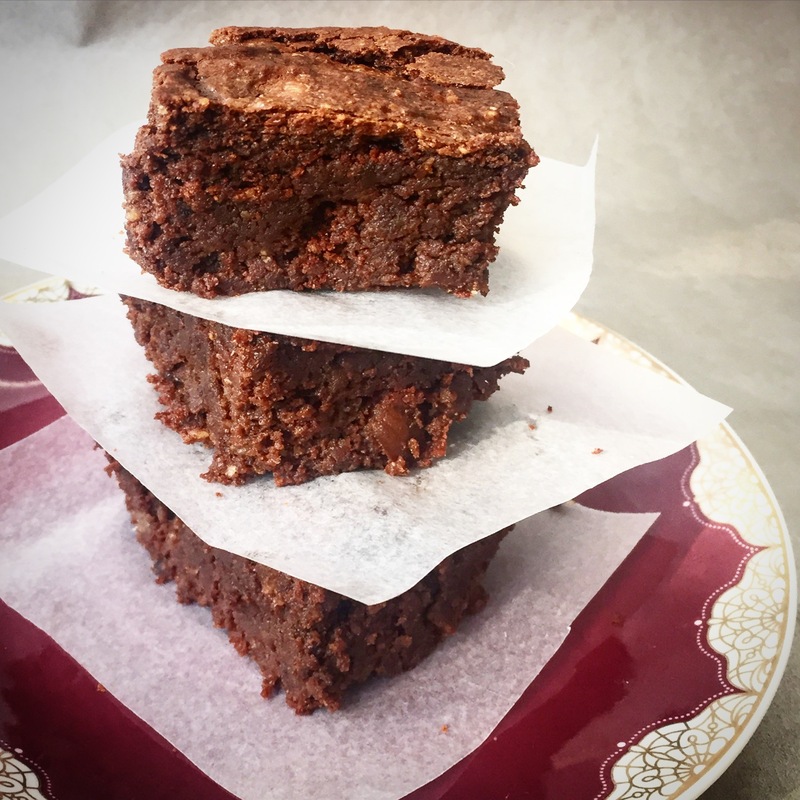 These brownies are gluten- and grain-free, and by using stevia and only a small amount of honey to sweeten they are very low in carbs too. The use of almonds, flax, egg and avo means that they’re a decent source of protein; and the coconut oil, along with the flax, is great for controlling cholesterol. A truly guilt-free treat! Preheat the oven to 180C and grease a square baking dish with coconut oil. 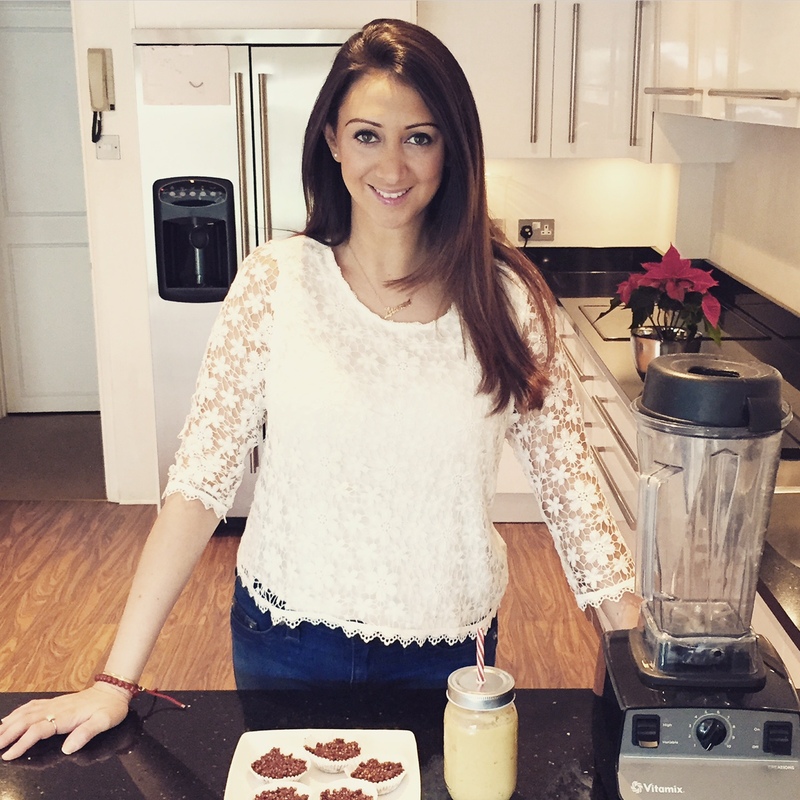 Place the cacao paste, coconut oil, almond butter and honey in a glass or steel bowl which can fit over a saucepan. Fill the saucepan with water and bring to a simmer. Place the bowl over the saucepan, gently melting the ingredients. Mash the avo with a fork until smooth. Whisk the egg and vanilla, and combine with the avo. Set aside. Combine the ground almonds, ground flax, stevia, cinnamon, salt and baking powder. Set aside. Once the chocolate mixture is completely melted and whisked together, slowly pour it into the egg mixture whilst whisking vigorously, to prevent the heat from scrambling the egg. Stir in the dry ingredients and the chopped pecans. Spread the batter into the baking dish and bake for about 20 – 25 minutes. Allow to cool before cutting into squares.